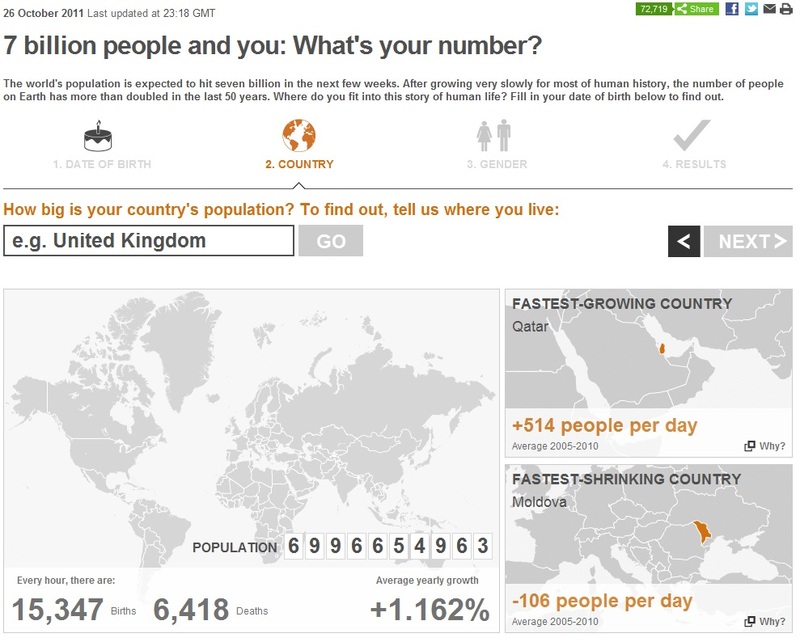 Una mica de Tecnologia: 7 billion people and you: What's your number? 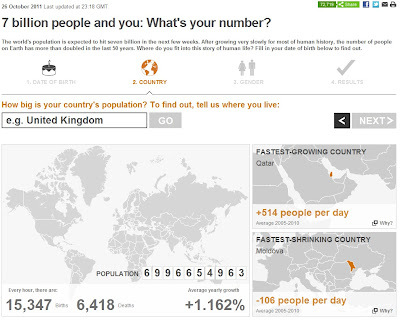 7 billion people and you: What's your number? 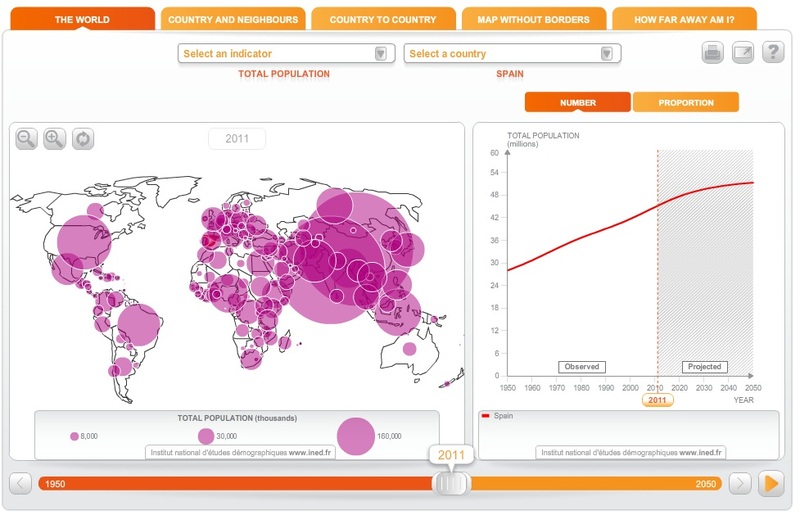 Enllaç - The world's population is expected to hit seven billion in the next few weeks. After growing very slowly for most of human history, the number of people on Earth has more than doubled in the last 50 years. Where do you fit into this story of human life? Fill in your date of birth below to find out.